If you are missing one or more teeth and would like to smile again with comfort and confidence, dental implants can be a strong, stable and permanent solution. At J.B. Dental in Westminster, we utilize the most up-to-date, minimally invasive methods that modern oral implantology has to offer. 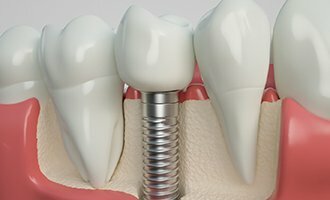 A dental implant is a bioengineered titanium post that is placed into the bone where the missing tooth once was. It has an acid-etched and sandblasted surface, which helps the bone adhere to the implant during the healing process. Approximately four to six months after the initial placement of the implant, it will be fully integrated and as sturdy as a natural tooth root. At this point, the implant is ready for restoration by placing a prosthetic crown permanently into the implant, thereby creating a fully functional replacement of the missing tooth. A dental implant is extremely natural-looking, durable, and has a success rate of over 95% for those patients that qualify. The cosmetic and functional superiority of this treatment has made dental implants one of the most sought-after treatments for missing teeth. 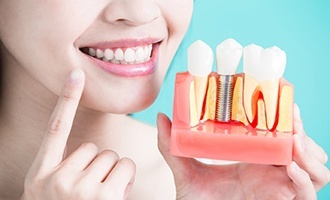 The specific type of dental implant surgery that will be best for you will depend on many factors, including the number and location of missing teeth, whether any tooth extraction is required, the condition of your jawbone, and your overall health. 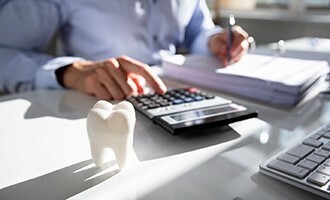 Dr. Bancroft will carefully assess your individual situation and recommend a personalized treatment plan that’s right for you and will work with you to make and then fit your replacement teeth. A consultation with J.B. Dental to determine the best course of treatment for our patients is the first step. If an implant is deemed the best course of treatment, we will need to plan the surgical components of your treatment. After your dental implants have healed and are securely in place, the fixed or removable dentures are made and placed by Dr. Bancroft. Follow-up visits will be necessary to clean your implants just like one would do for natural teeth and to ensure that the dentures are performing optimally. What is the Right Dental Implant Option for Me? If you need to restore only a single tooth/implant, an implant-retained dental crown is the ideal choice. Dr. Bancroft will design this conservative restoration from high-quality dental porcelain for a seamlessly lifelike appearance and feel. Better yet, it will be able to fit right in alongside natural teeth without requiring them to be heavily altered – this method is much better for your ongoing oral health. When multiple teeth are missing throughout the mouth, implant-retained dental crowns may still be the right option for replacement. Alternatively, if the teeth used to appear consecutively, Dr. Bancroft could anchor an implant-retained bridge over two positioned implants on either side of the gap, providing more comprehensive coverage all at once that’s sturdy, functional, and long-lasting. Are you tired of a loose denture that doesn’t allow you to eat what you want? Ask Dr. Bancroft about a better alternative. An implant-retained denture is a denture held in place using two or more dental implants. These dentures may be removable or fixed. Implant-retained dentures eliminate the looseness of a dental prosthetic and increase your chewing abilities by 60-90%. Implants work to reduce bone loss by holding the bone in place after a tooth is lost, thereby creating a more stable platform to keep your dentures in place. 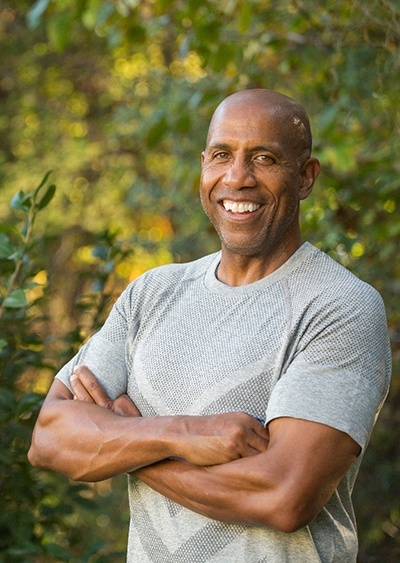 In addition to the traditional implant denture model, Dr. Bancroft now offers All-On-4 as a state-of-the-art solution to comprehensive tooth loss. Like the name implies, we’ll place as little as four implants at precise, strategic angles in the jawbone to support a full arch of prosthetic teeth. The biggest benefit of this technique is that these new teeth can be restored on the same day as the surgical procedure and then replaced with a permanent prosthetic after the patient has fully healed – you won’t have to spend any time without the complete, confident smile you deserve! Dr. Bancroft is now proud to offer dental implant placement here in her Westminster office! This means that patients can look forward to undergoing every stage of this transformative process, from their initial consultation to their surgery to the placement of their brand-new, custom-made restorations, here in one convenient location with a team they already know and trust. The creation and placement of the finished restoration, which will vary depending on the number of implants/missing teeth being replenished. 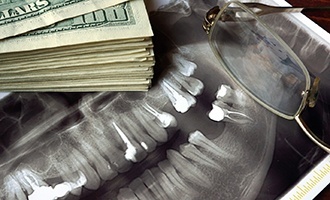 Possible options include single dental crowns, three-unit bridges, partial dentures, and more. While dental implants may seem like a significant investment of cost and time initially, they are more than worth it in our team’s opinion. 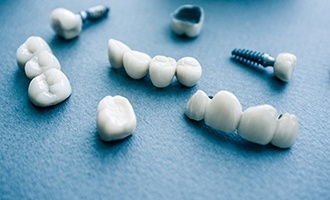 While more traditional services may require costly maintenance and replacement over the years, implants are designed to last for decades or even the rest of the patient’s life.